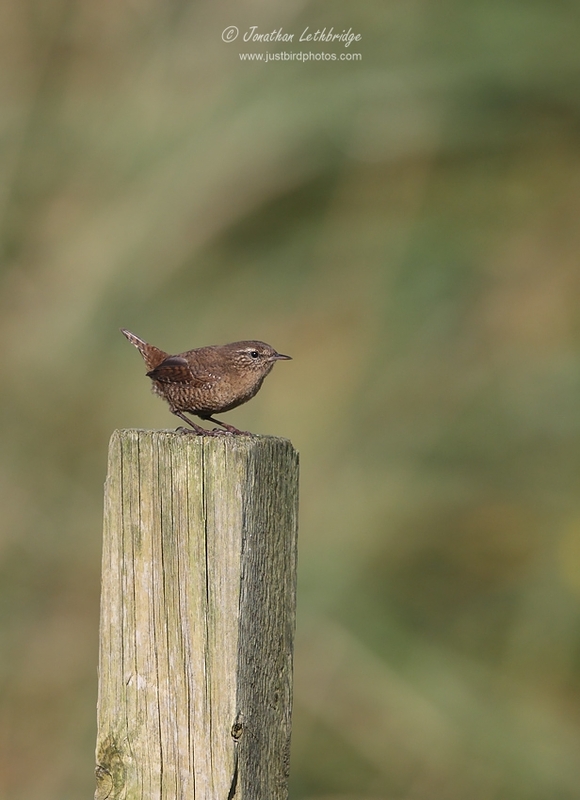 Unst has been very good to me over the years, with three lifers and a whole host of good birds. It's the most northerly of the islands, and involves two ferries to get over, with the [poor, neglected] island of Yell in the middle. 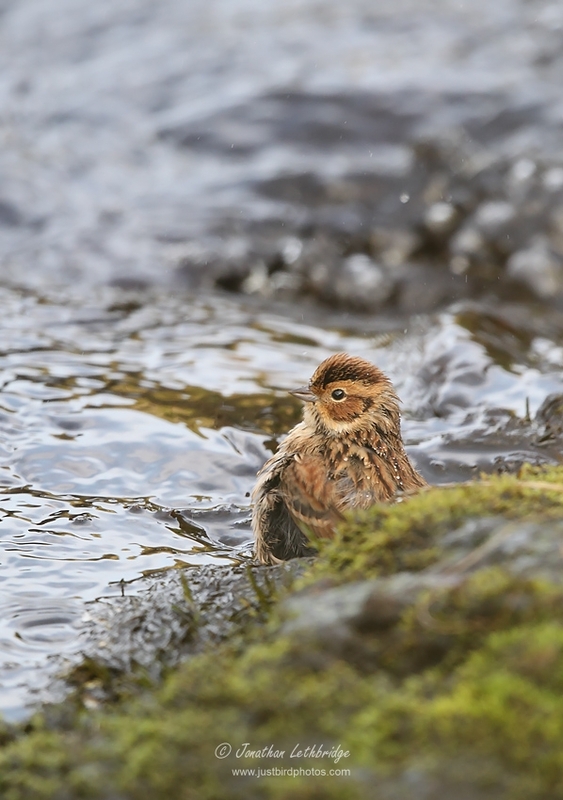 This time around there was yet another new bird awaiting me, a Rustic Bunting that had been knocking around since almost the start of August, faithful to the plantation and surrounding gardens at Halligarth. Amazingly we didn't go up there on our first day, but I am of course very patient when it comes to bird twitching. 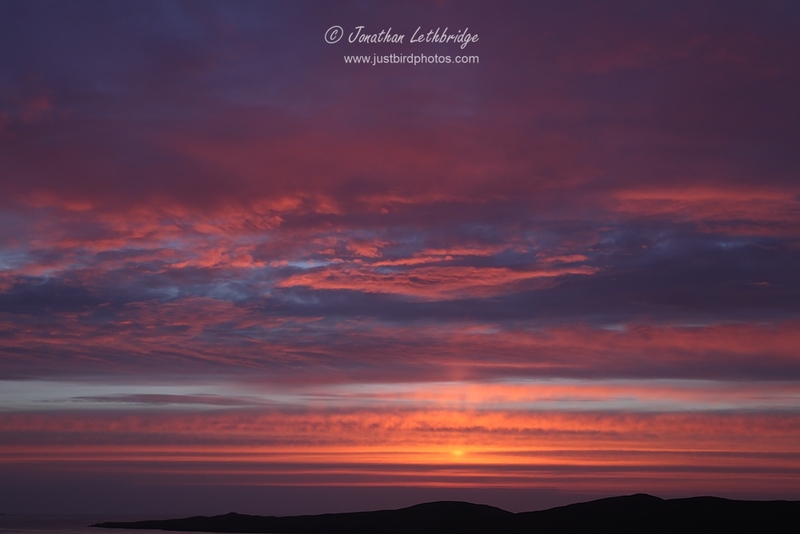 A glorious morning, we were on Unst by half eight, and scouring Halligarth before nine. 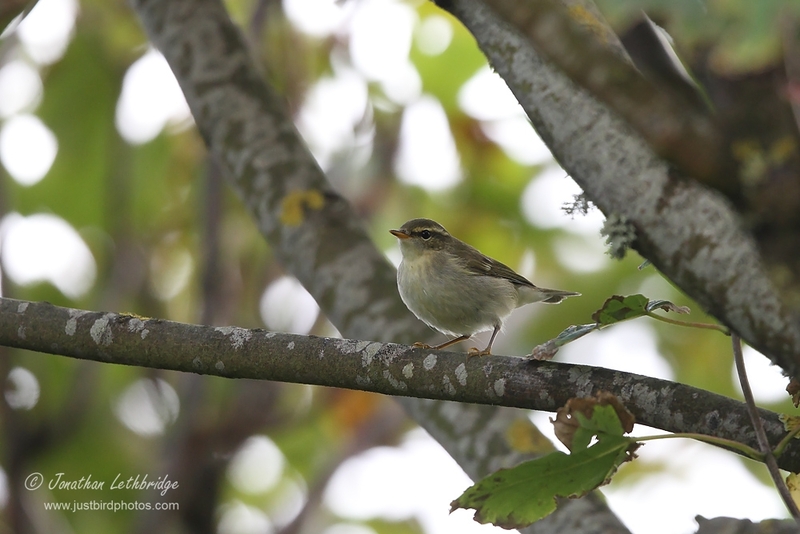 A Yellow-browed Warbler made itself known, and the plantation was eerily still. Usually it's somewhere you visit when the wind is howling, as the four walls afford shelter in at least one corner, but today there was barely a breath of wind and the sun was shining. 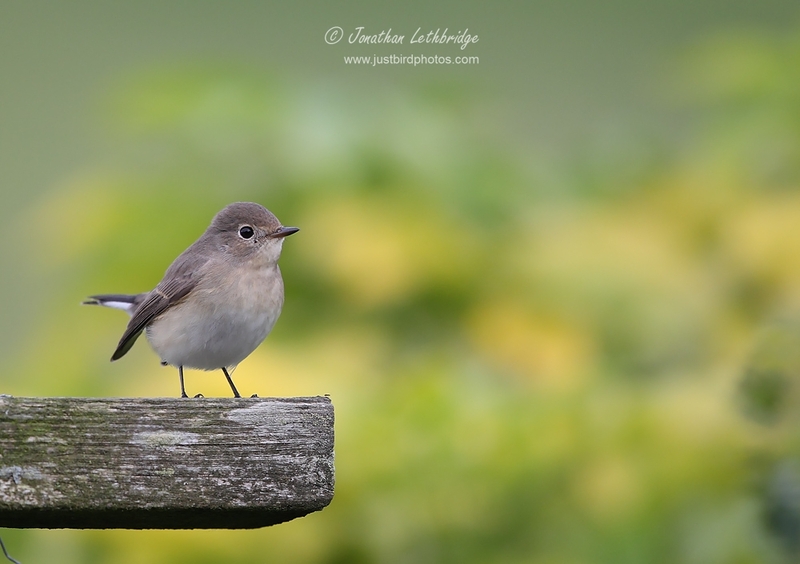 Garden Warbler, Willow Warblers, even an Acro. Brydon gave us the gen on the Bunting, and even had a poke around in his garden for us, but there was no sign. Disappointing, but with a Subalpine Warbler just down the road our spirits lifted. 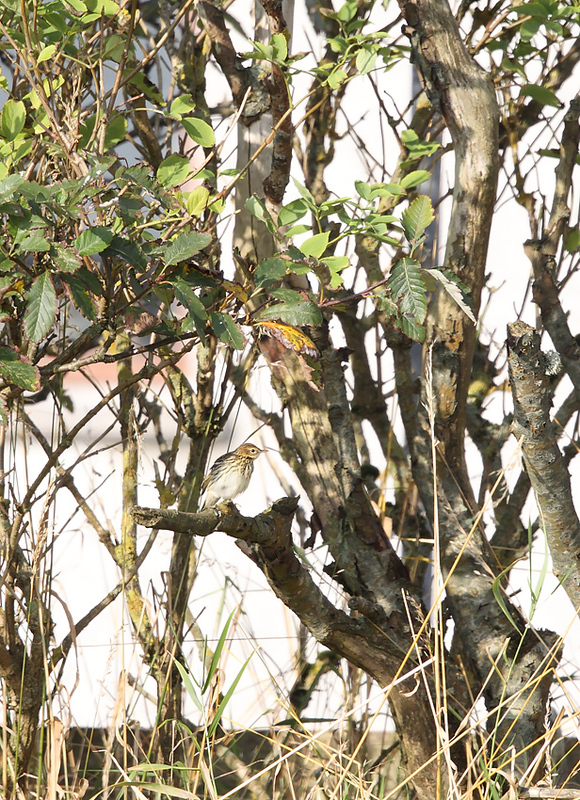 Especially when we pulled up alongside a gaggle of birders who told us that they had a 'funny' Pipit. 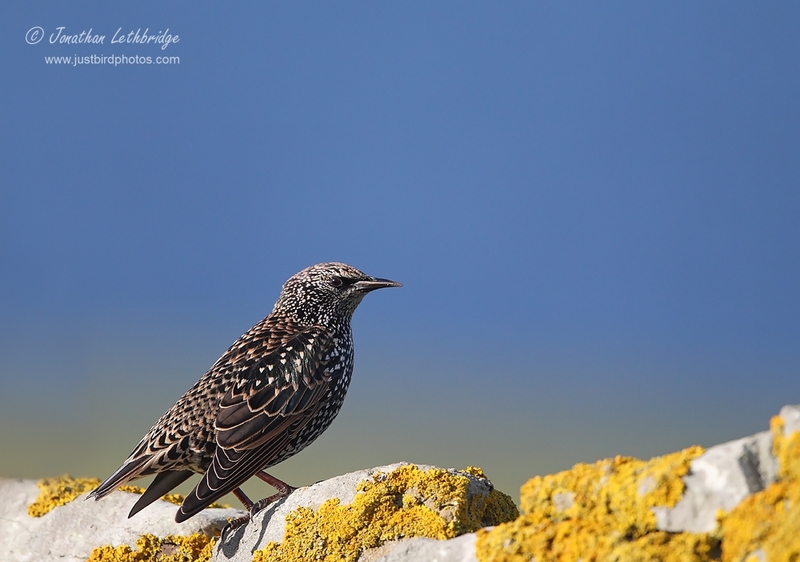 'Funny' Pipits are always good, except when they're just Meadow Pipits being bastards. 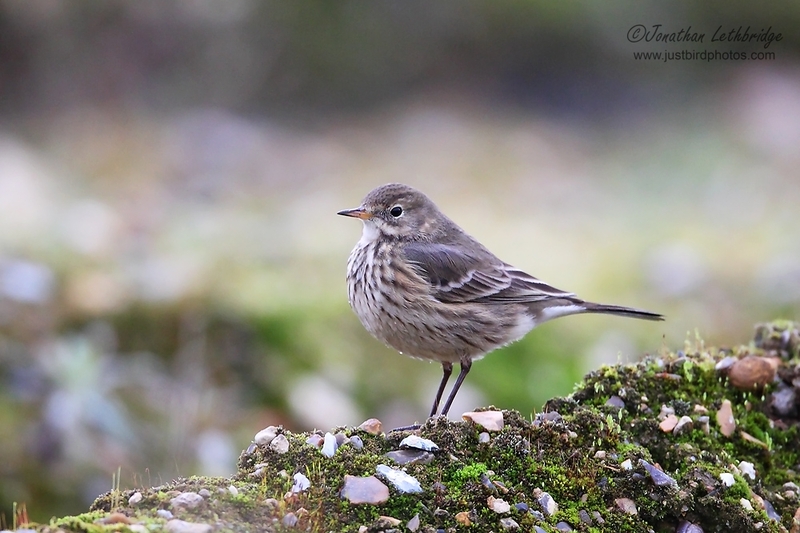 Happily this one turned out to be a Pechora Pipit, and in marked contrast to the one on Unst in 2012 showed amazingly well. As did the Subalpine Warblers. Yes, plural - there were two, and one of them was singing. So, in late September, on the most northerly island in Britain, I was stood in my shirt sleeves listening to a Subalpine Warbler singing and had just seen a Pechora Pipit. It was vaguely surreal. We carried on our itinerary, Unst is not a big place, visiting first Skaw for a quick bash as well as hoping to see the established Little Bunting, and then pottered around Norwick and Northdale for a while, picking up Barred Warbler, Yellow-browed, and a Common Rosefinch - the last of the expected scarce, so we were now in uncharted territory. It was very pleasant, and very warm. 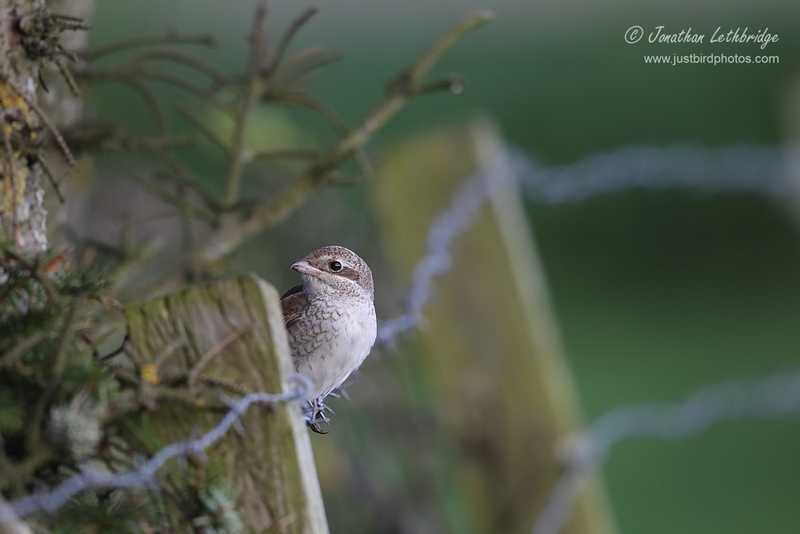 A few other stops followed, but it was fairly quiet, so we went back to Halligarth for a second crack at the Bunting. But this time with Double Deckers. I am sure I have mentioned the magical properties of this particular piece of confectionary before, but it is worth mentioning again. Almost any bird, no matter how skulky or invisible, can be persuaded to start parading around in the open by the simple expedient of eating a Double Decker. It works every time. 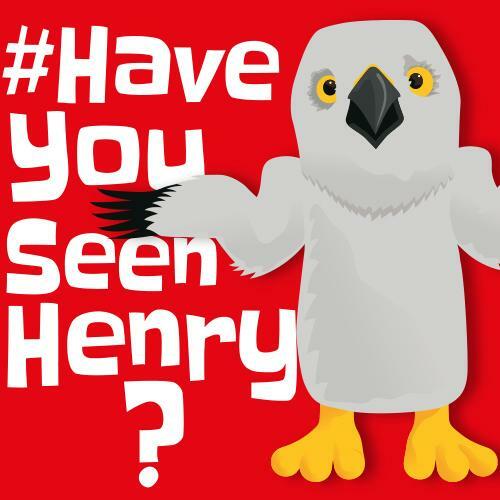 A fortnight ago in Norfolk with that Barred Warbler (though one could argue that was a bit of a waste), I had to bring one into play for the American Herring Gull in Kintyre, and I believe I also drew upon their power for the Ivory Gull. There are countless other examples. So, in keeping with the prescribed ritual, I solemnly handed them out before we started looking for the bird. 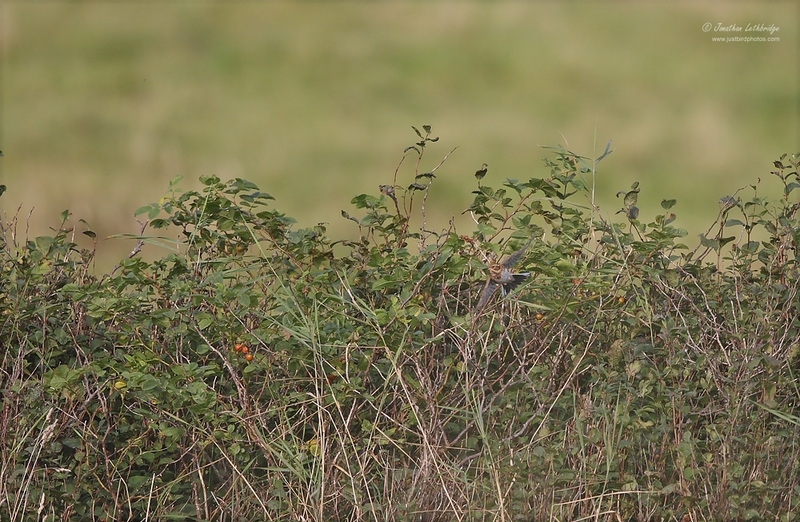 With this superb bird under our belts, there was just time to try for a nearby Bluethroat. This hadn't been seen for some 20 minutes, but the potency of the Double Decker was still fresh and I flushed it out of a rose bush immediately. 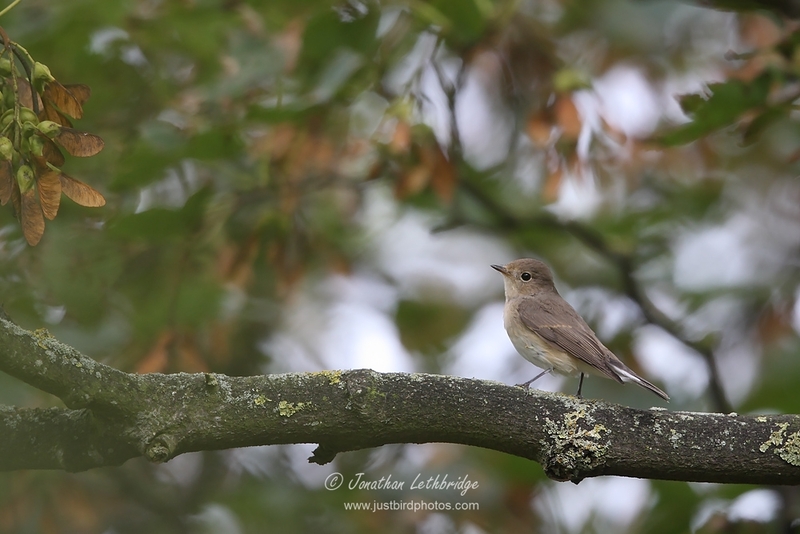 This rounded off an excellent day in which we saw a mind-boggling array of quality birds, and I got a tick to boot. 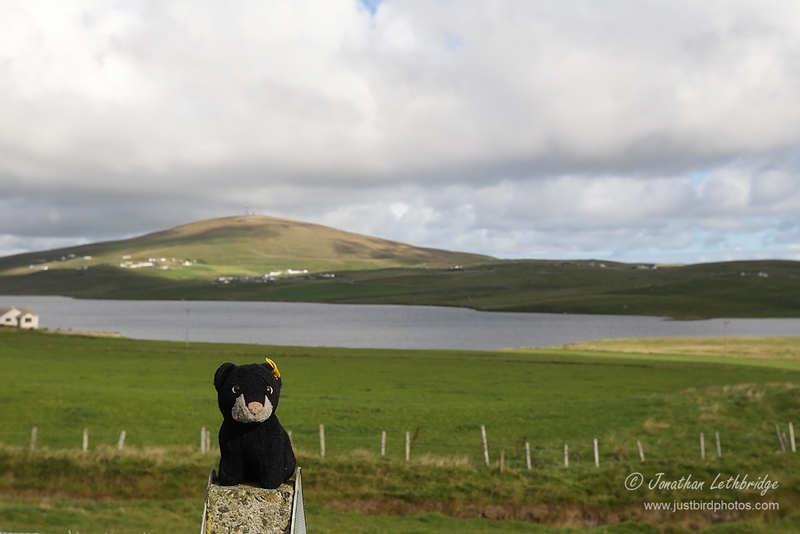 When it's good on Shetland, it is often very good indeed. 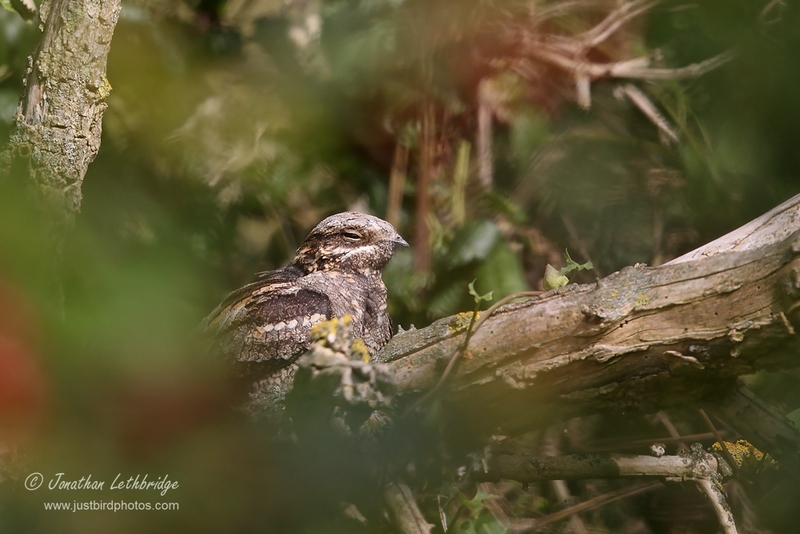 New 'filtered' through today of a day-roosting Nightjar just down the road from me at the Middlesex Filter Beds. 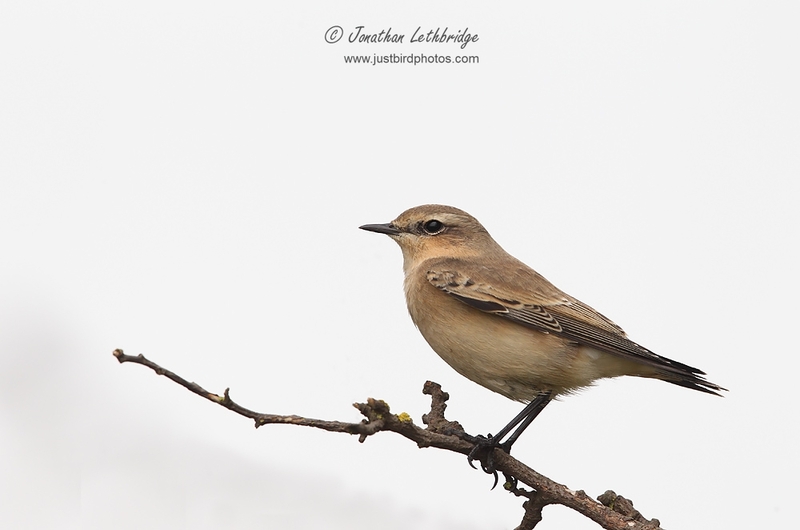 A local birder had spotted it whilst out jogging, and it had subsequently attracted quite a crowd of London birders, some of whom needed it for their all-important London lists. I didn't, having seen breeding birds in the Surrey sector last year, but I went anyway as I've never seen more than a silhouette at dusk. I've long hoped to come across a day-roosting bird, but I don't really bird the right habitat for that ever to be a possibility. The bird was roosting in more-or-less plain view. Naturally it had chosen the exact spot where a clear photo was impossible, but I gave it a go anyway (as did Shaun, even though it clearly wasn't a Gull). 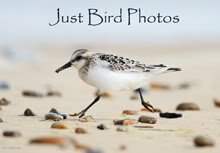 A real treat for loads of local birders. 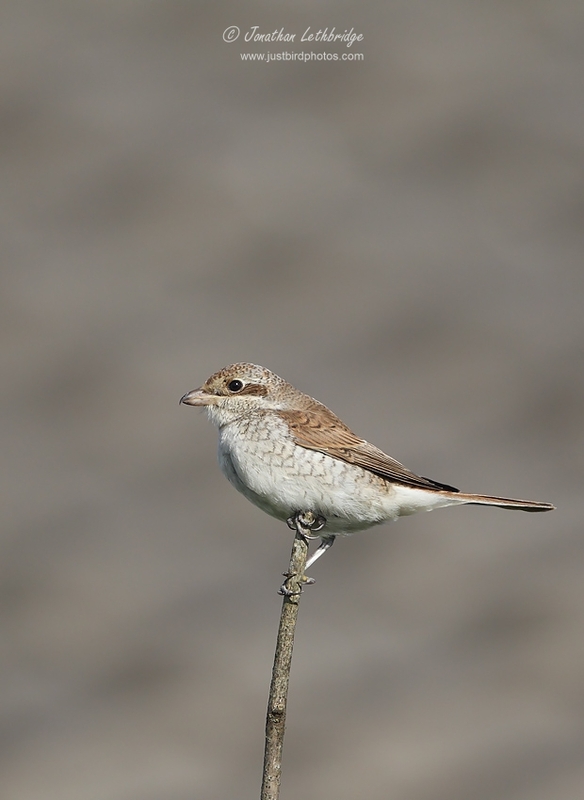 In other news I've birded the patch both yesterday and today, and come away with a full-fat patch tick in the shape of a Woodlark thanks to a timely text from Nick who had discovered it zipping round the grassy area of the Flats calling its head off. I hastened down there to find it still doing exactly that, though unfortunately those less quick off the mark were not as lucky. And then this morning I had the inspired idea to check the Park for a pair of Wigeon that were no longer on the Flats. I know, genius. And of course there they were. They take me to the astonishing total of 97 for the year, which is so piss poor I cannot even begin to tell you. Next year I promise I will make more of an effort. And finally, hot off the press, I have just survived a fun-run. The other day I lost a huge number of BPs by driving off to Norfolk with both sets of car keys in my pocket. My rescue mission to Belgium with the second set of car keys is apparently long-forgotten, and as penance I was forced into a participating in a family fun-run in aid of Make Poverty History. I am, as you might imagine, an unexceptional runner, and the concept of the words fun and run in the same breath is entirely foreign to me. 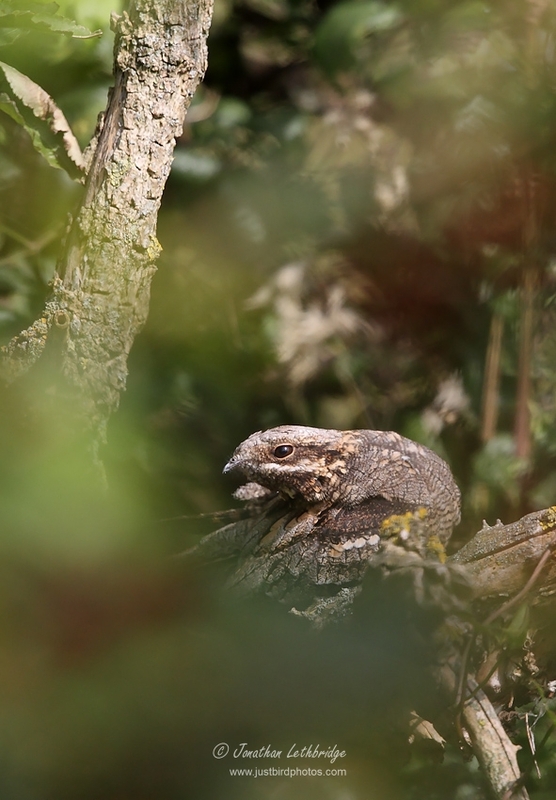 Nonetheless I whacked on a pair of trainers and set off the Park to meet the family, who were ahead of me due to the need to twitch the Nightjar. I made it to the start and picked up my number just as everyone all set off. Mrs L and the eldest set off together, and middle child went with a friend. Needless to say I didn't see them again until the finish. This left me with my youngest, now aged seven. She is not built for running, with very short legs at this point in her life, so we took it nice and slow - frankly this worked for me. How slow? Well, 5km in 45 minutes is how slow. Whereas young Master L finished in 29 minutes, Mrs L in 31, with Pie and her friend coming in at 38 minutes. So yes, we were last (as in last in our family of five, not last last - gratifyingly there are people out there less fit than I am), and no, it was not fun. But I did it, and I did not complain as much as I expected. And I am still alive, which is obviously a massive bonus, and by no means a guaranteed outcome as far as me running anywhere is concerned. Welcome to the Revolution. Today is a really important day. Today the people of Scotland vote, and the responsibility must be unbearable. This is a decision that could have huge repercussions, and none is more important than my list. The vote is essentially on whether my list stays at 419, or drops to 402, for I've seen 17 species in Scotland and nowhere else. That's what Alex Salmond has basically been banging on about for the last few weeks. I mean yes, he talks about national identity, about a proud nation etc, but when he says "Let's do it!" what he really means is "Let's wipe the smile off those smarmy UK listers, coming over here and taking our birds." This is outrageous. I've paid good money to see those 17 birds. 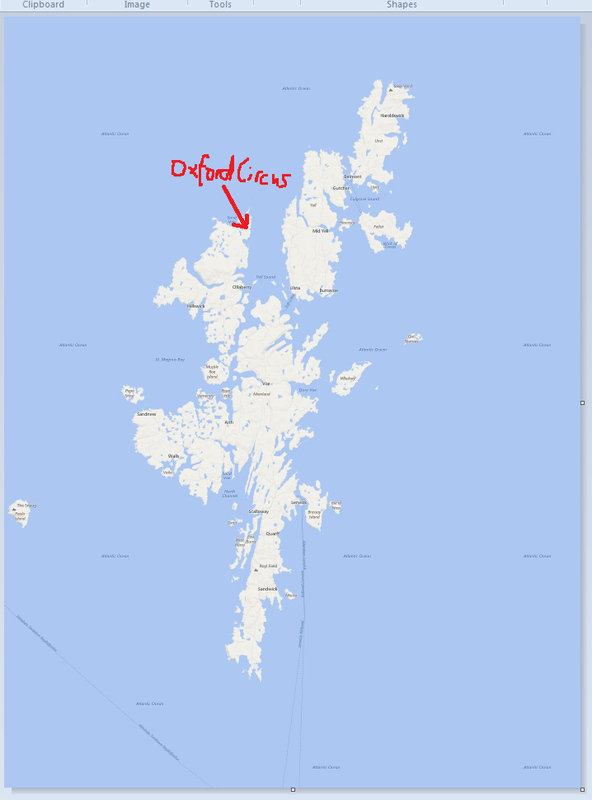 Seven of those have been on Shetland, involving five highly expensive trips. 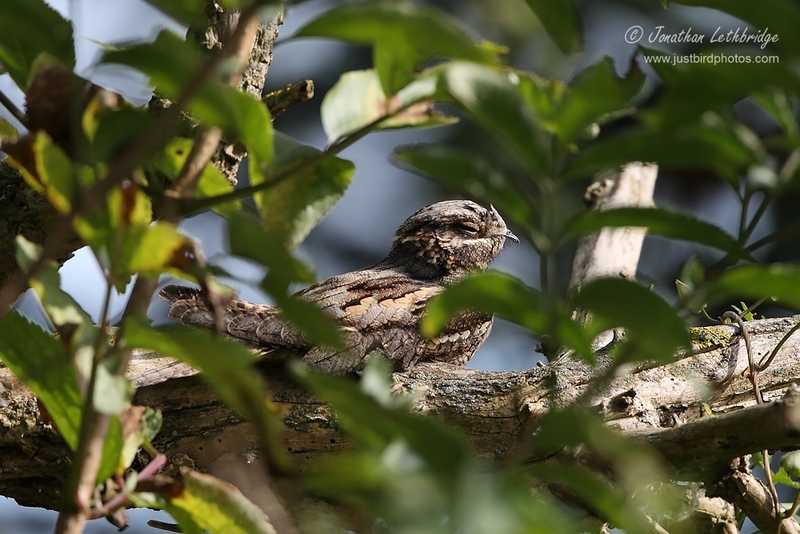 I suppose I did manage to subsequently see Hornemann's Arctic Redpoll in Suffolk and Buff-bellied Pipit in London, but Syke's Warbler, Lancie and Pechora could be more difficult. 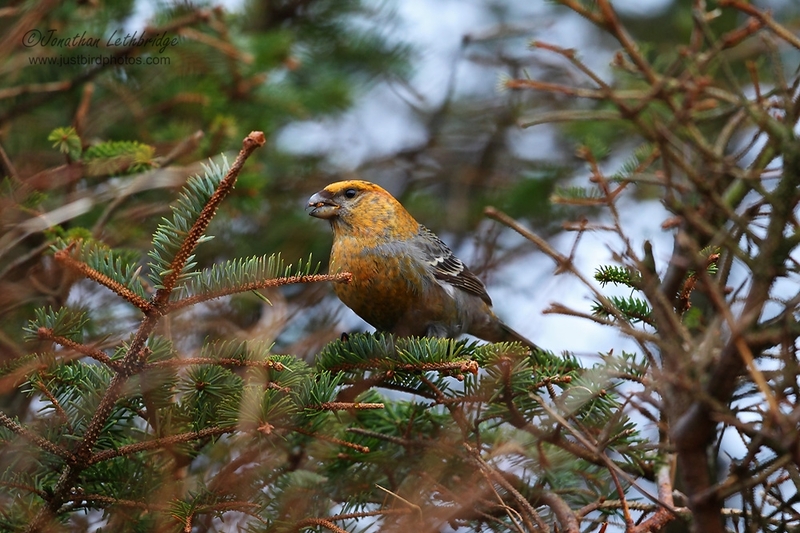 Last year I even bloody twitched Shetland for that Pine Grosbeak. Had I known.....And then a month after that I was on the Hebrides for the Harlequin Duck. I demand a refund! And as for my exciting Yank trio of Coot, Duck and Herring Gull, well they cost me a weekend and about £30 each, and were dull as ditch-water to boot. You think I went to see them for their aesthetic value? For what they could teach me about plumage? Pah! It was for my UK list, a UK that includes Scotland. And what about the Black Scoter? That sodding thing took me seven hours to find off Blackdog. Seven hours, some of them whilst being chased by a naked man wearing a sailor's cap. Is the Yes Campaign really saying that that was all in vain? How can that be fair, it's just so short-sighted. I guess I should count my lucky stars that the Sandhill Crane relocated to Suffolk where I saw it again, even though at the time it was one of the worst things that had happened in my entire life as it meant all my mates then saw it. Yesterday was one of the most enjoyable days I can recall for a long time (PS, no birds...). 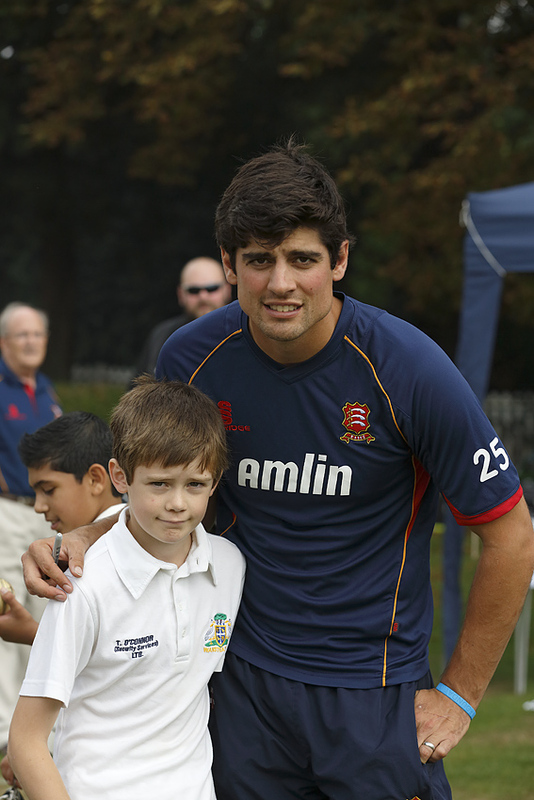 It's Alistair Cook's benefit year, and as he's an Essex cricketer, and several of the Essex side came from the Wanstead Ranks, he brought the team over to Overton Drive for a morning of coaching the kids (my three included), a T20 match vs Wanstead in the afternoon, and then a gala dinner in the evening. We only attended the first two, but were there for something like eight hours - for a man of his stature to give up his Saturday and come out and inspire all these kids is simply phenomenal - and he was so nice too, so normal, no sign of the pressure he must be under. And hats off too to the Essex team that contained the likes of Bopara, Foster, Topley and Panesar, they were all brilliant with the children, and really that's what the day was all about. The match itself was won by Essex on almost the final ball, and it was perhaps the least competitive cricket I've ever seen, and all the more fun for it! 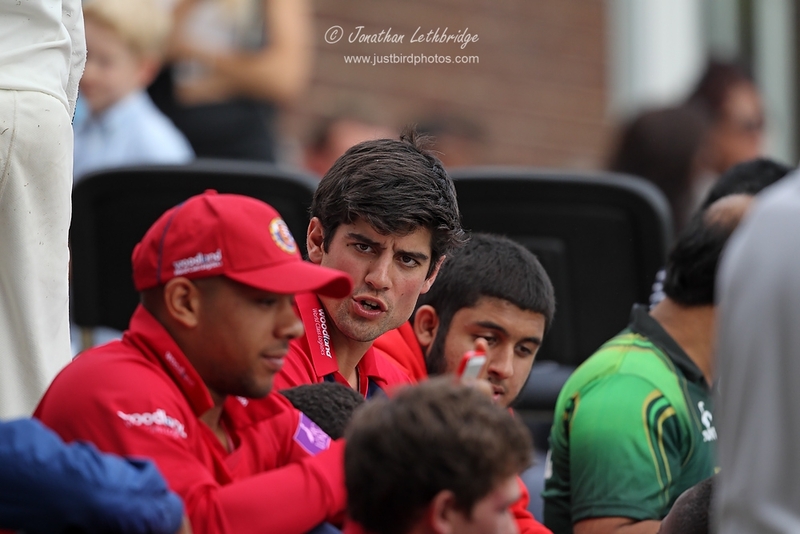 One of the Wanstead guys had won an auction to keep wicket for Essex, and had a whale of a time. A ten year old kid came out and bowled an over at some point and won man-of-the-match for doing so, Kishen Velani (local boy done good, played for England under-19s) tonked Monty for four sixes in a row, and Cook himself was the victim of a fantastic one-handed catch out at deep mid-wicket. Wanstead Cricket Club has been superb from the moment we joined it some years ago. It is made up pretty much entirely of volunteers that give up their time to coach the kids, and the whole setup and atmosphere is all you could wish from a local club, and we are fantastically lucky to have it on our doorstep. All three of ours go there every week, let's hope they stay interested for a long time. Especially if it means that I can have great days out too! Captain Cook asks my child a question - will she bat or bowl. It takes her an eternity to answer. Monty takes a wicket and goes off to high-five the entire crowd! Yes, I know. Another foreign trip. In my defence it was only Brussels, and seeing as we're all European, I'm not even sure it counts as a foreign trip. A somewhat hectic day, with a trip to the Isle of Wight tagged on afterwards - now that really is foreign...... Anyhow, arrived in the capital of Belgium nice and early to be greeted by a damp grey day. 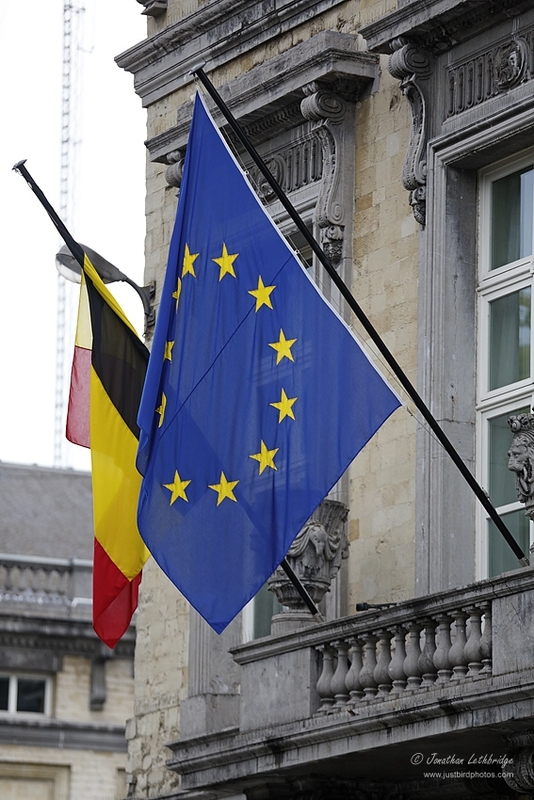 It is probably like this every day in Brussels, even if the rest of Belgium is bathed in sunshine. But it didn't stop a staunch Brit Eurocitoyen like me from having a bit of a look around, as my last visit had been inexplicably brief. Ostensibly the plan could have been to have had lunch with a friend, but she was unaccountably absent, so I reverted to beer. A trusted correspondent, when asked what fun could be had in Brussels for a few hours, had given me a list of "must-dos" that only involved bars. No mention of the Atomium (I saw it from the bus and reckoned I was 98% done), no mention of the quite adorable albeit very tiny statue of a small boy urinating (Le Manneken Pis), just booze - so naturally I followed these precise instructions and spent the majority of my very short visit sat in various drinking holes nursing absurdly strong beer whilst watching the world go by. Which mainly involved other people drinking beer, numerous weddings and pre-wedding frivolities, and a fair old portion of gloom. I also took in some culture at the death, and you won't be escaping that. Needless to say, I took a camera, so here is a pictorial essay on my day. This is Albert. Most people in Belgium are called Albert or Jacques, so this isn't particularly special. What was special was a statue opposite of who I assume was Mrs Albert, gazing lovingly up at her mounted beau. Of note is that he is looking off into he distance, and not down at her. This man was a tourist attraction in his own right. He ignored everyone. Like an aged Depardieu/Halliday, well before lunchtime he was content with fag, rag, and killer beer. Possibly he actually was a tourist attraction. Selfie. Not really. I have no idea who this is, but I am going to hazard a guess that he is American. No reason really. He is headed towards "Le Cirio", a very charming brasserie with fab decor that served far more beer than it did solid food. I sat next to an old Belgian couple who ordered all the ingredients for a sandwich, and then proceeded to make it up at their table. It was probably the highlight of their week. It was very nearly the highlight of mine. This is presumably the man above's reason for visiting Belgium. Or perhaps emigrating. Anyhow, much as I really would have liked to have partaken, on top of a number of fine brews, somehow I couldn't stomach it. 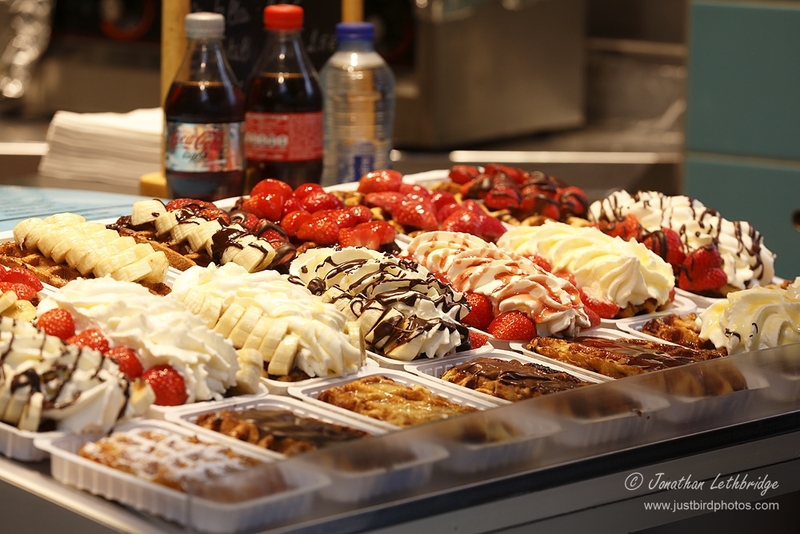 They were, however, selling like hotcakes, particularly to Japanese tourists no more than half as big again, who would then stagger off down the street and collapse onto a bench or bollard and proceed to stuff their faces. One or two actually died. In La Grande Place couples were getting married at the rate of one every 35 seconds, it was literally a procession. The bride on this occasion chose the traditional blue, perhaps it isn't her first time? The only reason I took it is because they had invited a Trappist Monk along, who as you can see is looking less pleased than everyone else, no doubt due to missing out on five minutes of ale-drinking and thus unable to build up an appetite for lunch. I can't remember much about this place, I think it was called Galeries Hubert. Basically a bit like the Burlington Arcade, but a lot bigger and with a ratio of nine chocolate shoppes to one of anything else. Tourist magnet. I purchased chocolate. As gifts. An interesting display of books. On the left you have book on wild ducks, by Jean-Jacques. 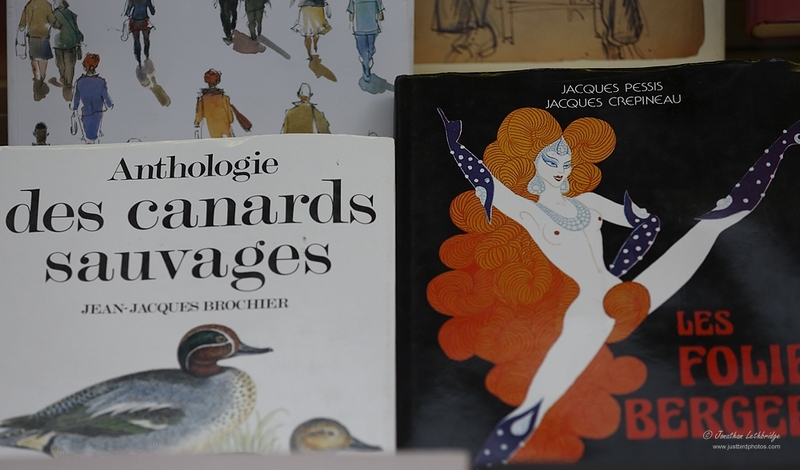 On the right you have a book on fortunate hair placement, by Jacques and Jacques. That the two should be side by side shows that this is clearly Belgium. To the Woodcock! This was yet another pub serving deadly beer. I did not partake. Here however I did, because it is supposed to be an experience. In an ideal world the waiter would have yelled at me or something. That is what had been promised, and whilst there was a certain frisson, I can't say it was any worse than places in London where staff basically view you as an unfortunate necessity. 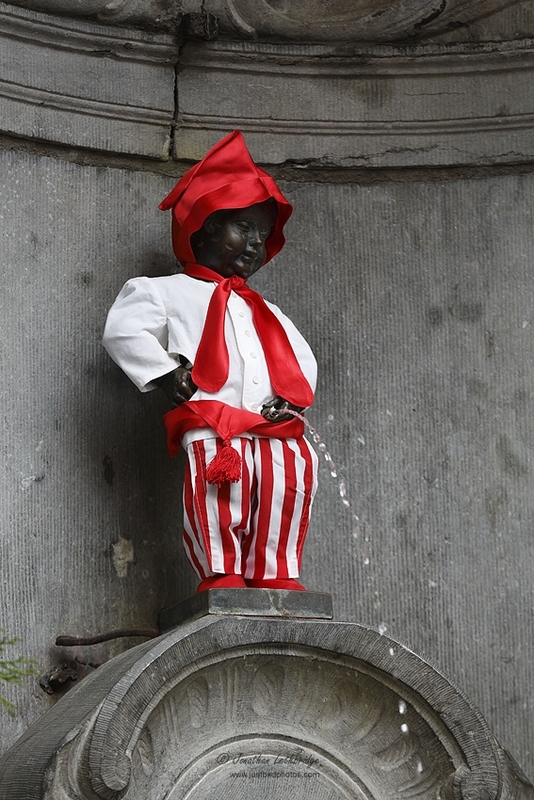 I could not visit Brussels without getting a dose of culture. 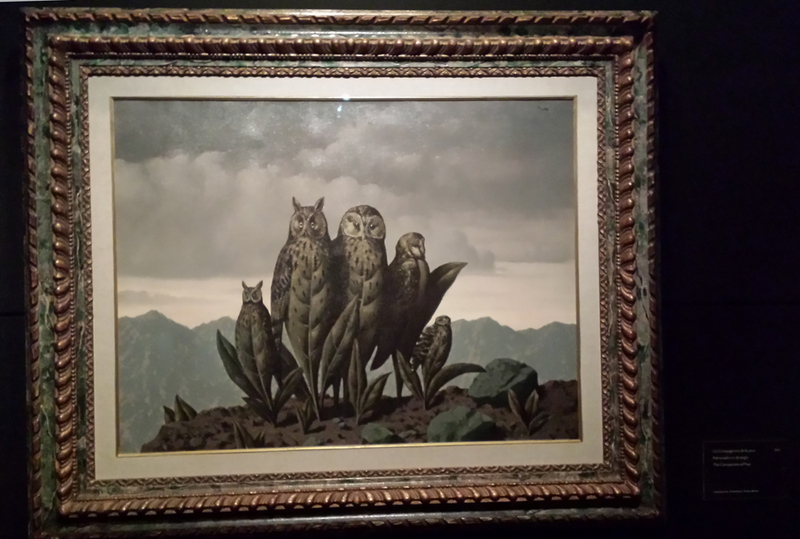 These are some owls by Magritte. It is of course forbidden to take photos in the museum, so I have no idea where these came from. Anyway, way back in the dim and distant past I wrote a dissertation on old René and his surrealist pals. I have forgotten all of it, and one brief visit round a museum isn't going to bring much of it back. I recall a train coming out of a fireplace, but could not find it. Instead there were gazillions of paintings of owls, and a mildly unhealthy obsession with breasts.